Howie Congratulates his 2nd Champion offspring! From Sparkle's first litter born July 2007, Howie was stolen along with his 2 littermates at 8 weeks of age from our home. Due to tons of local media coverage, not to mention putting out hundreds of flyers plus a pretty hefty reward for each... we were able to get his 2 sisters back within a months time. Howie, however remained missing for over 5 months before we were lucky enough to get him back. He is such a good boy we feel so blessed to have him home with us, what a fun little dog he is. To say that Howie has an exceptional temperament is an understatement!! With 3 litters on the ground Howie is a proven stud dog carrying black and brown. 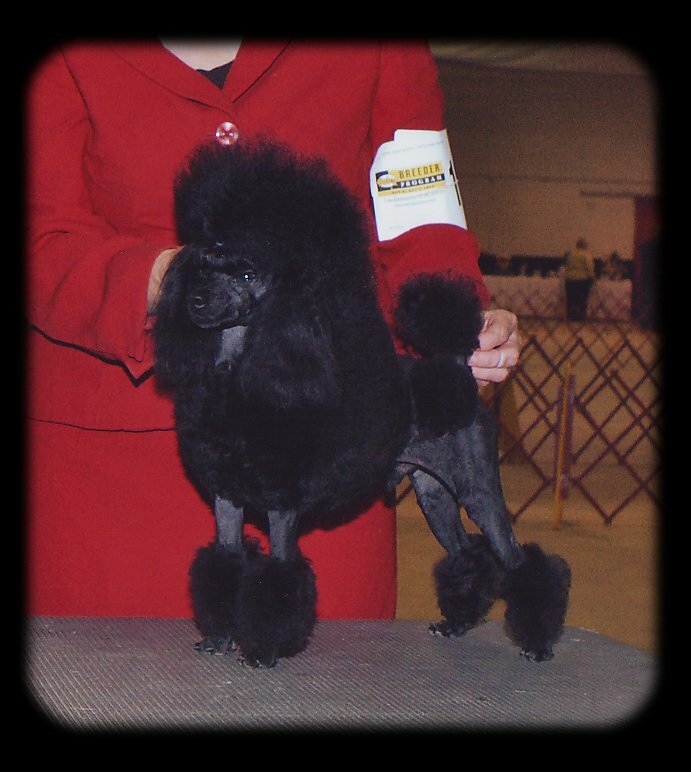 Howie was the perfect show dog finishing quickly. He is exactly 10" and is Optigen A by parentage. His littermate Clio, finished her Championship and the 3rd littermate Joy is pointed. You can view or download (right click and save as) his 5 generation pedigree in pdf format, sorry but it's split into 2 pages, best printed out to view.